If you stand in Trafalgar Square with your back to Nelson’s Column, you will see a wide horizontal front in a classical style. It is the National Gallery. It has been in this building since 1838 which was built as the National Gallery to house the collection of Old Masters Paintings (38 paintings) offered to the nation by an English private collector, Sir George Beamount. 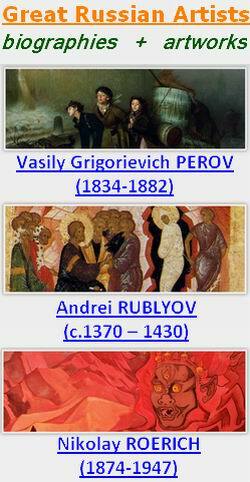 Today the picture galleries of the National Gallery of Art exhibit works of all the European schools of painting which existed between the 13th and 19th centuries. The most famous works among them are “Venus and Cupid” of Diego Velazquez, “Adoration of the Shep­herds” by Nicolas Poussin, “A Woman Bathing” by Harmensz van Rijn Rembrandt, “Lord Heathfield” by Joshua Reynolds, “Mrs. Siddons” by Thomas Gainsborough and many others. In 1897 the Tate Gallery was opened to house the more modern British paintings. Most of the National Gallery collection of British paintings were transferred to the Tate, and only a small collection of a few masterpieces is now exhibited at Trafalgar Square. Thus, the Tate Gallery exhibits a number of interesting collections of British and foreign modern painting and also modern sculpture. The collection of Turner’s paintings at the Tate includes about 300 oils and 19,000 water-colours and drawings. He was the most tradi­tional artist of his time as well as the most original: traditional in his devotion to the Old Masters and original in his creation of new styles. It is sometimes said that he prepared the way for the Impressionists. The modern collection includes the paintings of Henri Matisse and Pablo Picasso, Marc Chagall and Salvador Dali, Francis Bacon and Graham Sutherland, Peter Blake and Richard Hamilton, the chief pioneers of pop art in Great Britain. Henry Moore is a famous British sculptor whose works are exhibited at the Tate too. One of the sculptor’s masterpieces — the “Reclining Figure” — is at the Head­quarters of UNESCO in Paris.